238 pages | 101 B/W Illus. Is technology impacting on our evolution and what might the future hold for the learning brain? These are just some of the questions Paul Howard-Jones explores on a fascinating journey through 3.5 billion years of brain evolution, and discovers what it all means for how we learn today. the central role of learning in our rise to top predator. An accessible writing style and numerous illustrations make Evolution of the Learning Brain an enthralling combination of biology, neuroscience and educational insight. Howard-Jones provides a fresh perspective on the nature of human learning that is exhaustively researched, exploring the implications of our most distant past for twenty-first-century education. 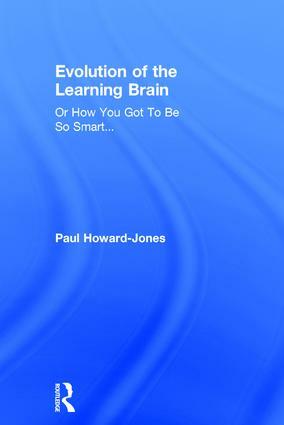 Paul Howard-Jones is Professor of Neuroscience and Education at the School of Education, University of Bristol. He is a cognitive neuroscientist, educational expert and broadcaster.